What is linehaul? Go behind the wheel to gain an insider’s perspective in the linehaul freight process and how it helps businesses across Australia. At Aussiefast, we define Linehaul as the transportation of freight over long distances, usually interstate, within Australia. Linehaul is only one component of the delivery process, but it is one of the most important and complex components. 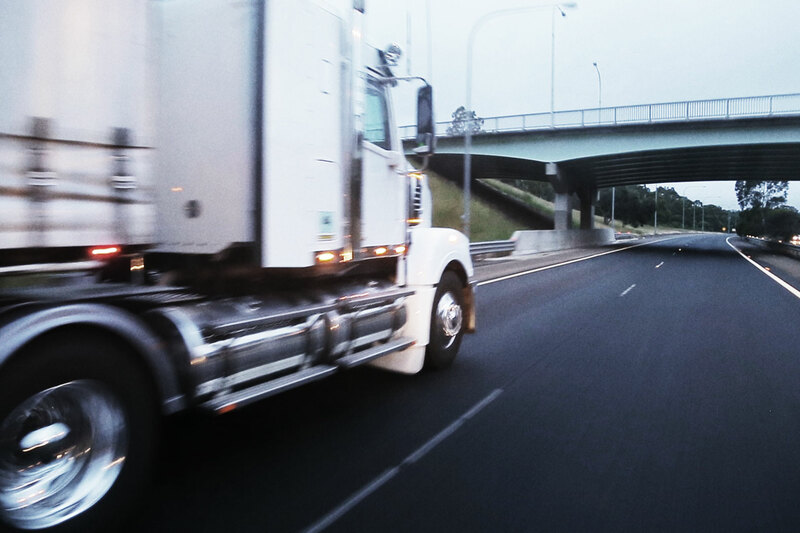 We offer two main types of linehaul at Aussiefast: full load and door-to-door depot freight linehaul. As the name suggests, full load linehaul refers to a service provided by Aussiefast where a client requests delivery of a full semi-trailer or B-Double. This service requires a Linehaul vehicle to pick up freight from a specific location and transport the freight direct to a specific delivery location. With full load Linehaul the client is provided with designated trailers to load as few or as many pallets as they like (within legal limits of course) and have their freight delivered direct to the receiving location with no depots in between. In addition to use of designated trailers, the benefits of full load linehaul include a choice of general or express service, a broad spectrum of pick up/deliery locations and cost savings. Another great benefit of full load Linehaul with Aussiefast is we provide this service to and from any location in Australia. This comes down to our ability to deliver anything, to any destination, at any time. We also provide a door-to-door depot freight service. With this service, small to medium quantities of pallet freight or skids are transported by our local fleet from the pickup location to our depot. These consignments are then collated and loaded onto a linehaul vehicle destined for a specific state where the freight will then be unloaded at another of our depots and delivered to the receiving location by local vehicles. Because it allows them to share a vehicle with other businesses with very similar delivery requirements, our door-to-door depot freight linehaul service is a cost-efficient alternative to full load linehaul for clients who only need to transport smaller quantities of pallets. By consolidating freight onto a single Linehaul vehicle, Aussiefast manages the loading and scheduling of the freight to achieve delivery timeframes for all our clients. Door-to-door depot freight linehaul is also available in express or general service levels, suitable for all businesses regardless of timeframes. For businesses, the whole process is as straightforward as that. Goods leave one warehouse and arrive in another – generally in another state – soon after. But what does the linehaul process involve from a truck driver’s point of view? A linehaul driver focuses on one thing: driving goods from point A to point B as safely and efficiently as possible. Because of this focus, linehaul drivers typically don’t load and unload themselves. Drivers begin the delivery process by driving the truck into the warehouse, where specially trained staff load up the truck and then drive out with a full load of goods. It’s common for linehaul truck drivers to have regular routes, and even recurring runs for regular customers. The advantage is that they know their routes, their roads and the conditions inside out. There won’t be any surprises like low bridges, tunnels, tight corners or roundabouts that could potentially throw them off schedule. Linehaul drivers also often tend to drive overnight. While this usually means goods can be picked up in the afternoon and delivered the next morning, the big advantage for drivers is fewer motorists who don’t know how to share the road with heavy vehicles. Despite all the stereotypes, truck drivers are highly trained and extremely safety conscious (plus, linehaul drivers are among the most experienced truck drivers), but trucks require more space for manoeuvring and stopping – which not all other motorists tend to account for when sharing the road. At the end of their run, linehaul truck drivers will deliver their freight to the destination warehouse, where it is typically unloaded by the receiving warehouse staff who are familiar with the requirements of the freight. If you want to learn more about linehaul deliveries and how we can help with interstate transport for your business, contact Aussiefast today.